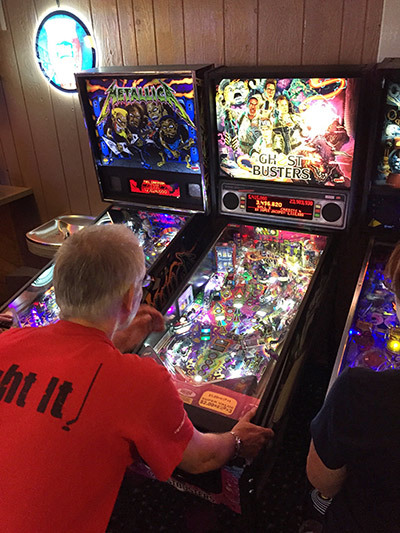 The Lake County IL 'Meetup' group hosted an informal pinball league during the Summer months of 2016. 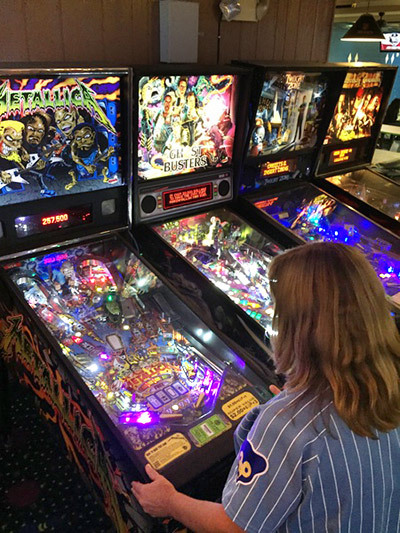 The reason for forming this league was to elevate awareness of the locations that have pinball in the northern Chicago area, and also to enjoy an evening of fun with people who were interested in playing pinball. 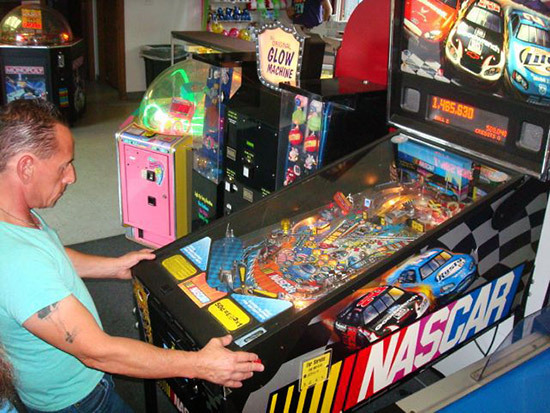 There were a number of people who said “it has been years” since they had played pinball, and a few said that they were unaware that pinball games were still being manufactured. There were in excess of 15 players who participated in this league, each participant receiving a ticket good for the drawing of a grand prize at the last event. The more events that they attended, the more tickets a player received. At the end of each event, a small 'fun' prize was given for high score of the night. At the October game there was also swag from the 2016 Pinball Expo in Chicago. The grand prize was awarded following the October game. 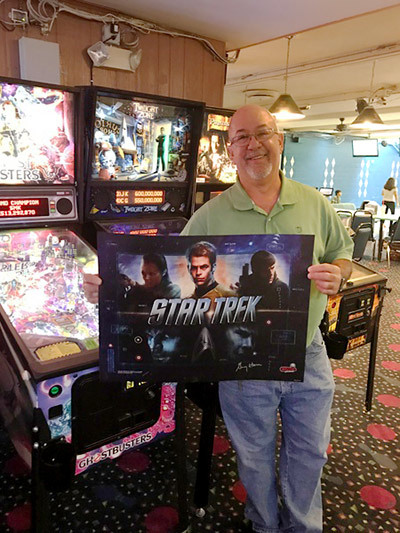 The prize was a translite from the Stern Pinball game Star Trek autographed by Gary Stern. Many thanks to Stern Pinball for providing this prize! Thanks to everyone who came out to participate and hopefully raise awareness of places to play pinball in the northern Chicago suburbs. To be added to the Lake County Pinball League mailing list, please drop an e-mail to lakecountyraceway@gmail.com or for more information visit the host meetup page at facebook.com/LakeCountyDiveBarsandPubsMeetup.